Previous post: Katazome + cross-dyeing – oh, the possibilities! The piecing is regular and the pattern clearly suggests a braid. Now I need to sew up the body of the jacket, recut and re-sew two lining pieces, and make a bunch of bound buttonholes in the front panel. 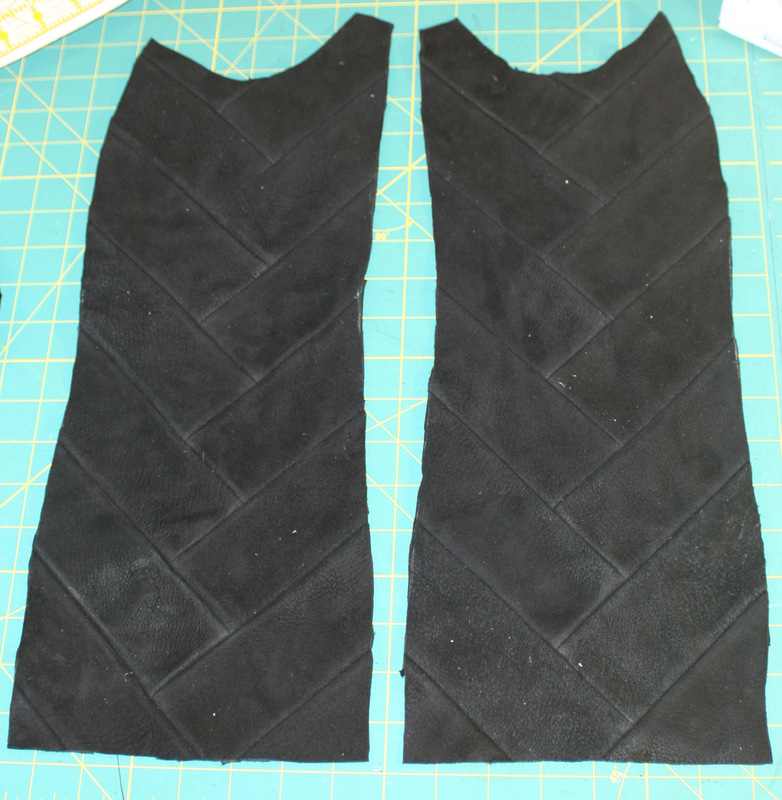 Â Then I need to attach the lining to the vest, sew in the cape, and that’s it! Â I’m trying to get it done this week, but it might go into early next week, because of the buttonholes. And I am now thinking I would like to make two pieces – a cloak entitled “Dying Phoenix”, crumply-textured material, predominantly black (maybe some gray) with red and orange accents – and “Phoenix Rising” – the one I’ve been working on. Â The cloak I have a strong vision for, the other is still totally in the air. Â I need to generate more designs, and also start sampling fabric!